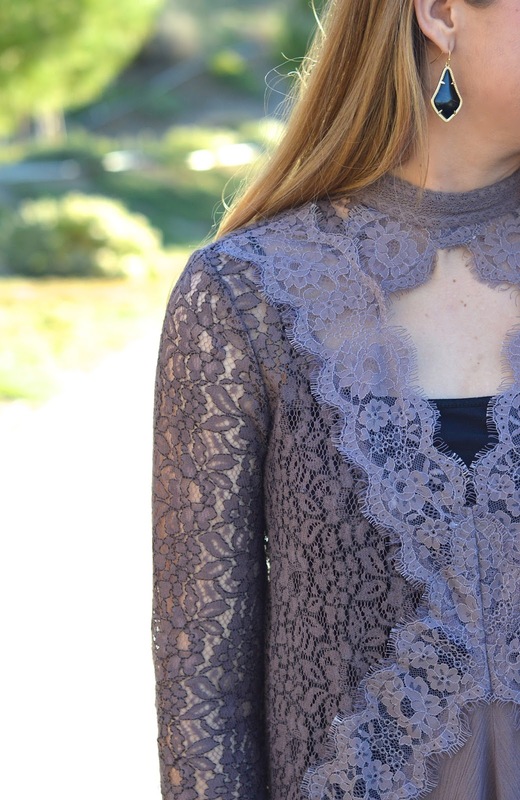 I have had my eyes on this beautiful lace tunic since last year. Sadly, I did not purchase it last winter season; but I finally pulled the plug on it this season. And I am so excited that Free People decided to bring it back this year :) If the purple shade is not your favorite, it is also available in three other stunning colors. I'm definitely thinking about adding the beautiful white one to my closet. This season, you guys have seen me wearing these black OTK boots all over The Teacup of Style. OTK books literally look ADORABLE with everything--from dresses to jeans! These taupe colored Steve Madden OTK boots are another amazing pair of shoes that I will definitely be wearing a TON. Also, they're responsibly priced! i've been swooning over that free people top for forever now!! so pretty! Thanks Emily :) It truly is such a cute & adorable top!